This custom variable frequency drive design provides more user programmability, safety and energy efficiency for pool pump control. A membrane/switch display allows settings including four time/speed programs, real time clock, over-ride cleaning mode and a thermistor input. 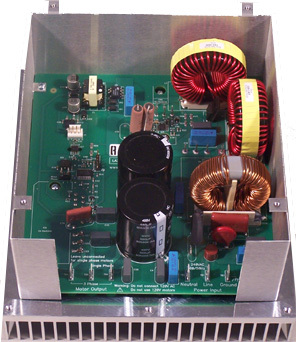 This custom VFD design includes power factor correction for maximum energy efficiency.